One of the easiest ways of making money online is by selling your unwanted stuff, whether its clothes, a used car or collectible sports cards. You may not become a millionaire by selling online, although it can be an easy way of enjoying some extra income and can be fun too. Probably the most well known online selling site is eBay, and on here you can sell literally anything. The site really does make the process as simple as possible, offering help with figuring shipping costs, allowing you to compare prices of similar items, and to post photos of your item. In short, everything you need to increase your chances of a sale, including the potential for an eBay store, which offers even more tools and support for online sellers. CraigsList is another well-known site where you can sell anything, although furniture, household items, and electronics are especially popular. Craig’s List also allows you to post pictures of what you’re selling and the big advantage over eBay is that you can sell on your local site only, eliminating the need for often costly shipping. And CraigsList also allows you to advertise your services too; if you want to make some extra money editing resumes, gardening, walking the dog, or babysitting, Craig’s List is the place to find customers in your area. There are dozens of other sites that allow you to sell a specific type of item only; if you have books, old vinyl records, sports memorabilia or kid’s clothing you can find websites where you can sell it. Several sites offer online tutoring, and if you have a background in teaching, selling your services as a tutor can bring in some extra income. It’s also lucrative too; depending on the subject, your experience and where you live, you can charge between $15 and $40 per hour. And it isn’t just math, English and science, as online tutors are constantly needed in a variety of subjects. If you can play the guitar, file taxes or understand the basics of Microsoft Excel, you can make money teaching others how to do that. As an online tutor you can work for an established tutoring company, or of course, you can work on a freelance basis. Tutoring online means you can tutor from anywhere where you have an Internet connection and a camera, and you can generally choose your own hours to suit your schedule. Whether you are selling your expertise in mathematics, your baseball card collection or kid’s clothes you no longer need, making money online has never been easier. It seems like everyone is making money online these days. Moonlighting, side gigging or whatever you want to call it is increasing in popularity due to many reasons. Many people are having to turn to the internet to make extra money from home because it is harder these days to find full-time permanent work that pays the bills. Others do it because their day job is what they have to do to make a living while their online gig allows them to do something they really enjoy while making a few bucks along with it. Whatever the reason, almost anyone can find something to do online that will provide them with at least a small supplementary income. So what are some of these options for making money online? A popular one that has been around for a while is market research. You sign up for a company that conducts surveys to gather information about products and services. When a survey fitting your profile is sent to you, you open it, complete it and earn a few bucks for your time. There are also websites that allow users to click on ads, watch videos and complete small tasks for a few cents for each one. 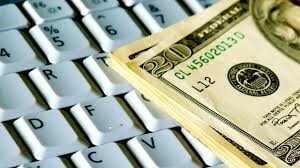 Another more lucrative way to earn money is to create a blog. Find a niche, write about it, write a lot, add some paid ads to it and share it to a lot of various social media sites. The more people who read it, click it and share it, the more money you can make. When it comes to writing, there are other ways you can make money besides creating a blog. There are a number of sites that hire writers to write about every topic under the sun for search optimization and website content. A very popular way to earn money online that has been taking off in recent years is the gig economy which allows users to sign up for a website which has an online bank of freelancers doing tasks short contracts and one-time gigs. The way it works is you create a gig, which is something you know how to do, and market it towards the community. When someone is interested in what you are offering, they message you and contract you do to it in a certain amount of time. Currently, influence marketing is starting to really take off especially among the Instagram generation. 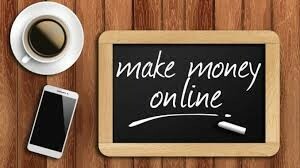 This takes a bit more work and it’s much harder to make money but when you do, it can be quite lucrative. You need to have a large following, to post a lot, to be able to draw attention from companies and to have a strong knack for advertising and marketing. Creativity is also definitely a must in this field. Lots of people, nowadays, are facing problems in meeting the expenses of their family due to their static 9 to 5 income combined with the spiraling costs of essential goods. 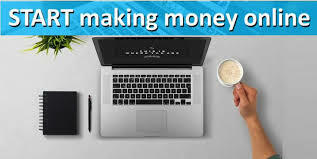 Here are some ways through which you can easily start making money online from the comfort of your home in your free time. I am providing you with three different methods, starting for those who have no special skills to those who are experienced in one specialty or the other. The amount you can earn depends on the time you can spare and your experience levels. It is imperative that you first create an account with PayPal, an online payment gateway, as most companies send you payment through it. If you have no special skills, try your hand at completing online surveys. There are many websites that offer you points for successfully completing surveys of different products. Sign up with a couple of such sites. While filling up their registration form, you will be required to mention your age, gender, your email address, and the topics that fascinate you. These sites will send you an alert email whenever they have a survey that matches your profile. For example, if you are a female, you will receive surveys for products targeted at ladies. Each time you complete a survey successfully, the site will award you with a certain number of points. When you gather enough points (typically this figure is 100), you can encash it. Typically, these sites pay you through online payment gateways such as PayPal or directly to your bank account. You can easily earn several hundred Dollars by enlisting for several sites and completing surveys for them. Tip: Check your email regularly, as some surveys are open for a limited number of contestants. If you have a good grasp of the English language and a flair for writing, you can earn hundreds to thousands of Dollars per month by writing content for blogs and websites. Certain sites also offer money for writing essays or dissertations, but I would not recommend them, as most of them help students to complete their homework, which I do not consider fair. A quick online search will provide you details of many such sites. Tip: Avoid sites that require you to bid for jobs, as they are not worth it, and only offer a pittance. If you are skilled in any topic, you can earn money by sharing your skills in one subject or the others. There are many tutorial sites online such as Udemy that pay you money for teaching your favorite subject, such as Photoshop, to their students. You can set your own fee for the course. The site deducts their commission and pays you the remainder. Tip: Offer a few lessons for free to gather a student base.